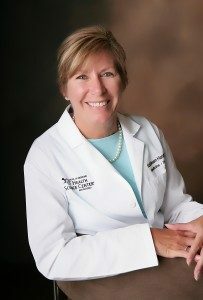 Kathleen E. Hands, M.D., F.A.C.E., ECNU, is a Thyroidologist, a physician specializing in thyroid disorders. Dr. Hands is board-certified in Endocrinology and Internal Medicine with a subspecialty focus in thyroid and parathyroid disorders. Dr. Hands is a Fellow of the American College of Endocrinology (FACE) and a member of the American Thyroid Association (ATA), American Association of Clinical Endocrinologists (AACE), AACE Ultrasound Certification Council, Academy of Clinical Thyroidologists (ACT), Endocrine Society, Texas Medical Association, American Society of Cytopathology, and American Institute of Ultrasound in Medicine (AIUM). Dr. Hands carries the distinction of ECNU, Endocrine Certified in Neck Ultrasound, an American Institute of Ultrasound Medicine recognized expert in thyroid ultrasound. 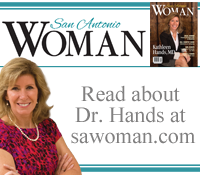 She is a thyroid cancer specialist, and thyroid ultrasonographer, and the director of the Thyroid & Endocrine Center of South Texas. The Thyroid & Endocrine Center of South Texas is the only thyroid-dedicated endocrinology specialty in South Texas. The center specializes in thyroid disorders, nodules, cancer of the thyroid, pregnancy related thyroid disorders, autoimmune thyroid conditions such as Hashimoto’s thyroiditis and Graves disease causing hypothyroidism and hyperthyroidism respectfully. Dr. Hands offers endocrine neck studies for endocrinologists and other physicians interested in high quality thyroid studies, which she performs personally. In addition, evaluation of thyroid nodules, cysts, parathyroid tumors and thyroid goiters is performed same day as consult in office. Thyroid ultrasound, ultrasound-guided fine needle aspiration (biopsy) of thyroid nodules, percutaneous ethanol injections (PEI) to dissolve cysts, cytopathology review and lab studies are provided on site. When indicated, radioactive iodine treatments are provided by expert nuclear medicine specialist under strict dosing supervision of Dr. Hands to comply with current standards and safety and American Thyroid Association guidelines. Dr. Hands believes in appointment time efficiency (no wait times), professional courteous interaction with all staff, and individualized treatment of your special condition consistent with the highest standard of medical excellence and the latest innovative technology.